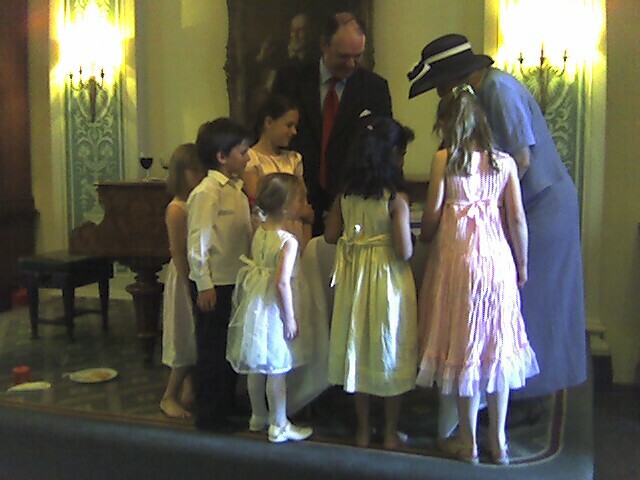 Andrew was Chairman of the Faith Society at the John Fisher school (I had that honour a couple of years after him). 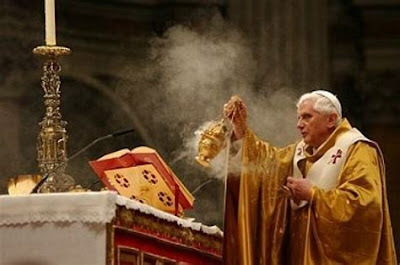 This was run by Fr Roger Nesbitt who taught Chemistry at the school. He was also there yesterday. 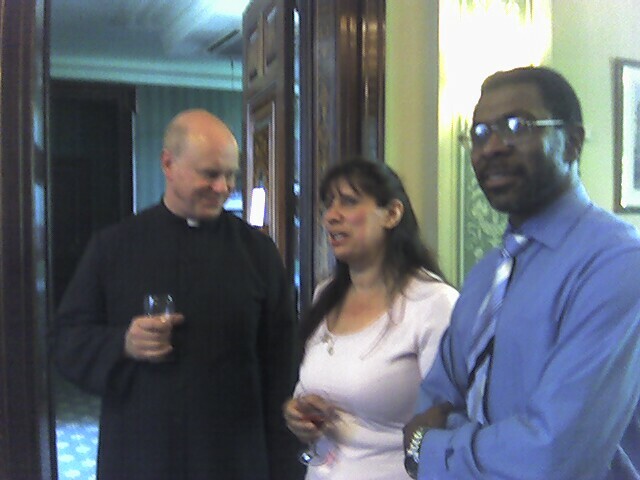 There was also Paul Marsden whom I haven't seen in years, and Dr Philip Howard with Mary his wife. They were in the year above Andrew. Andrew married Dora Craven whom he met in Cambridge. I remember a barge holiday with them and others including Stephen Langridge who is now parish priest of the Holy Ghost Balham. 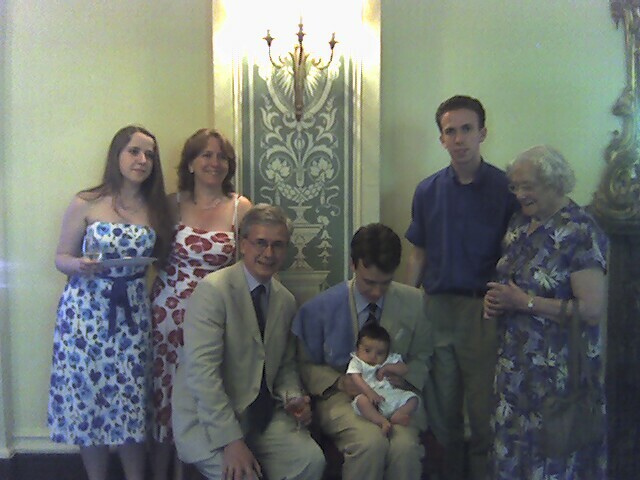 The picture to the right shows 4 generations of the Nash family - including young Hugo (Edmund and Fiorella's son) for whom this is now the third appearance on this blog. Greg and Aghi Clovis know Joanna and Jamie through their pro-life and pro-family work. 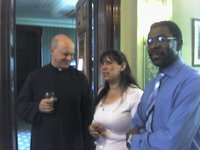 They are pictured left with Fr Chris Basden, parish priest of Clapham Park. Another great pro-lifer I met yesterday was Veronica Hodges who has been very supportive of the Association of Priests for the Gospel of Life. 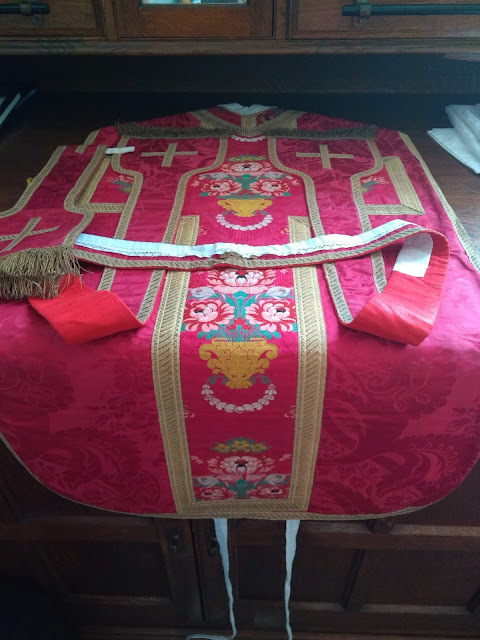 The subdeacon for the Mass was Fr Michael Cullinan whom I first met at Oxford in the late 70s. He was a year ahead of me - and a Balliol man. He has just done what must be his third doctorate - this time on the ethics of St Paul. Now these (and many others) are all gathered in St Wilfrid's Hall. 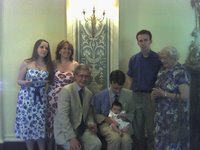 Downstairs, there just happens to be another crowd of people from the London Faith in Focus group who have been at the Baptism of Catriona Millar, new daughter to Greg and Adele.